Every year on the blue-green waters of Islamorada in South Florida, a fishing tournament celebrating the life of respected angler, Herman Lucerne takes center stage. 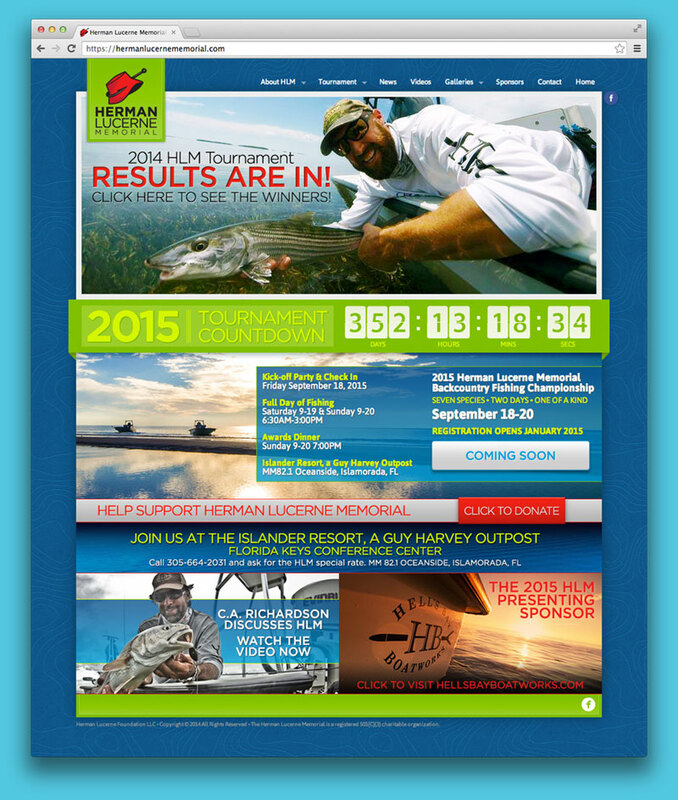 Jekyll Works was commissioned to update The Herman Lucerne Memorial Fishing Tournament’s identity with a new logo and website. Our goal was to make a easily recognizable brand image that could be used in a variety of situations to clearly portray the essence of the tournament. The logo design had to fall clearly within a few conditions. Firstly, it had to include a depiction of Herman Lucerne’s trade mark red hat, and second it had to incorporate some theme of angling. After a few rough sketches and some fine tuning the final logo arrived and solidly met the brief. Along with the tournament’s history and important event information, the website featured a completely custom registration form built on the Expression Engine platform. All the content of the website was directly accessible to the client, and collaboration with other developers was available at any step of the process.